Far from the Big Apple, The General Muir, one of Atlanta’s hottest restaurants, combines modern precision with the vibrant traditions of New York’s Jewish delis: matzoh, pastrami, the reuben, bagels, lox, trout, and of course, a great brisket find an unexpected home alongside an eclectic mix of food trends that include burrata, lentils, beets, hangar steak, and poutine. During a stay in Atlanta, The General Muir came highly recommended. With an open mind and empty stomach, we headed there for a weeknight dinner. Like most hot cosmopolitan restaurants, The General Muir changes its menu frequently and prints it daily. Don’t worry, many of its cult favorites, like The Burger (I’ll get to that! ), are mainstays through the seasons. A wonderful wine flight whetted my appetite instantly. 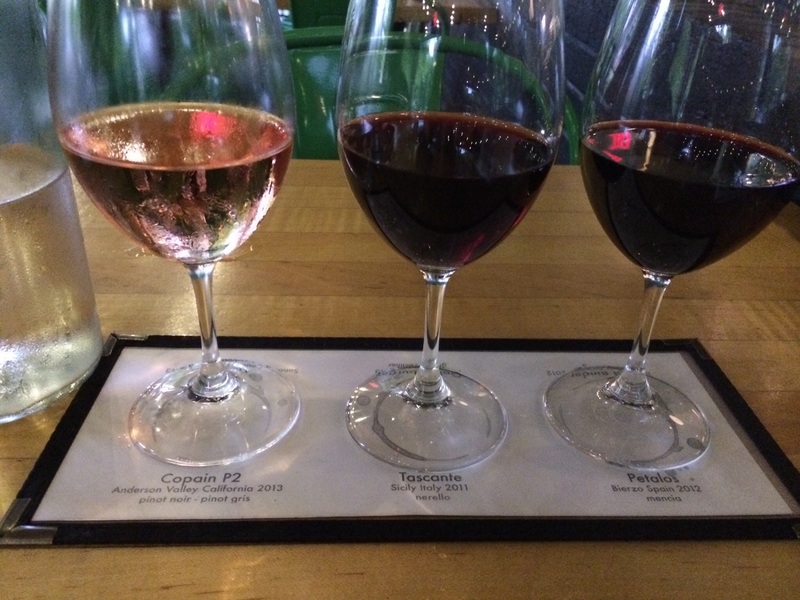 A prescribed Sonoma pinot noir was unavailable, but a wonderful rose took its place beside a smooth Sicilian Tascante nerello and Spanish Petalos mencia with smoky tannins. 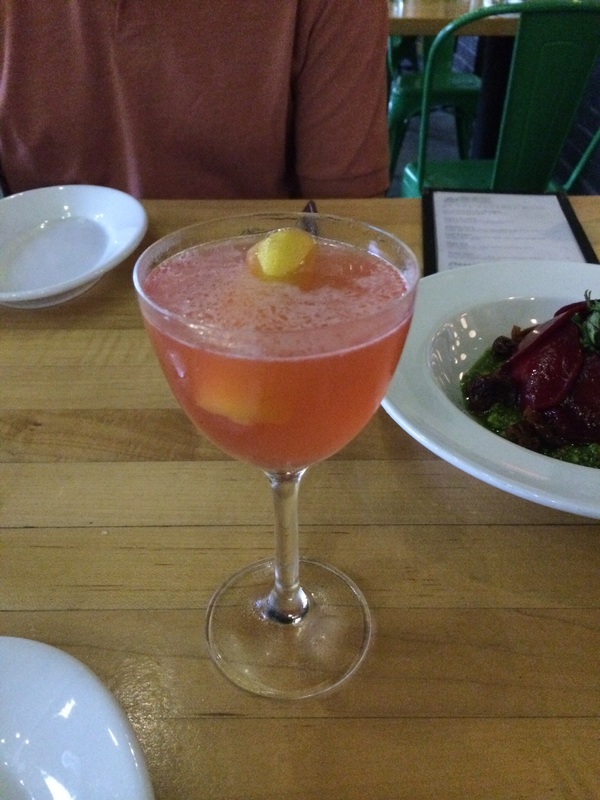 Their cocktail list, like their food menu, is subject to change but applies its own spin on current mixology trends. Bourbon, St. Germain, sparking wine, pisco, and ginger make obligatory but welcomed appearances. 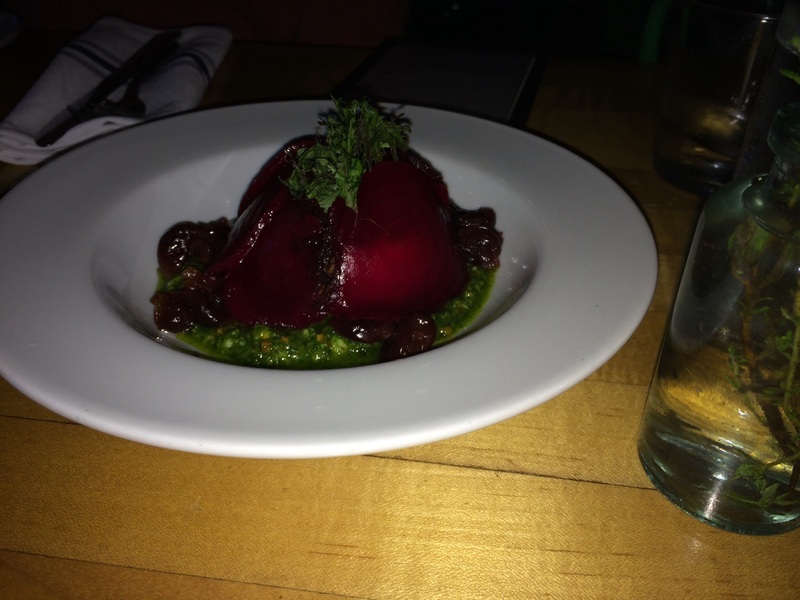 The three of us shared a burrata appetizer complimented with shaved beets, dark sweet cherries, and pesto. It was fabulous and not too heavy. I continued my vegetarian theme by ordering stewed lentils with curried cauliflower (featured photo above). It was a hearty, filling combination for a rainy evening. One of us ordered the entree special, which was a strange but delicious hybrid of chicken noodle and matzoh ball soups. And of course, the third in our group ordered The Burger. The Burger deserves the capitalization of its name. It is renowned throughout not only Atlanta, but the nation’s burger scene, having been featured in several high-profile reviews, such as Eater. The Burger marries its ground beef patty with pastrami, caramelized onions, Russian dressing, and gruyere. It is a force to be reckoned with. We skipped dessert at The General Muir to experience Decatur’s Butter & Cream once more, so I can’t comment on The General Muir’s dessert offerings – which were tempting. Dessert wasn’t necessary for us to appreciate The General Muir’s eclectic mix of traditional and trendy.